Discussion in 'Hats' started by Michaelshane, Feb 8, 2009. These hats are the real stars. Awesome pics! Did Bogey have a center dent or a triangle bash in this flick? Between work e-mails, calls, and hanging out as this watering hole...I saw a movie called "The Good Shepard". CIA recruiting in the Cold War era. Not a ton of hats, but a few. Really liked Damon's and a few others I saw. I think he had a hand bashed teardrop (C-crown) in most of his films, including Casablanca, The Maltese Falcon and The Big Sleep. It can't really be called a C-crown since it is hand bashed and the C shape is not as perfect as a factory shaped hat. It is interesting how tall the hat looks from the front, but much less from the side. Even accounting for the rake. I imagine it is a sort of visual effect, because of the fact that you see the crown's narrower view from the front, but a wider view from the side. This is something I have noticed on myself when I wear tall crowns. These may even look too tall when viewed frontally, but look better from other angles. Why do you think we buy open-crown hats? Many a C-crown has been shaped by hand. It does not have to be blocked by a factory to be a C-crown. A C-crown is a C-crown no matter how the crease was made. Many afficianados prefer to crease their hats by hand. Bogart was probably one of these. Perfection is seldom achieved and that is as it should be. If everyone had a perfectly creased hat, there would be no room for individuality. The individuality of each combination of hat and wearer is the sublime basis of the art of wearing a hat with style and panache. Strive for perfection, knowing that there is always more to achieve, for the joy is in the attempt. GLewis, Samuel and 101 Pathfinder like this. What I meant is that the shape of the crown is not perfectly rounded and it is therefore not in the shape of a letter "C" when it is hand bashed. But I agree, a hand bashed crown is best, which is why I intend to have the 2nd hand hat I am buying blocked into an open crown for this reason. There are many pictures of the hat here, from pretty much every angle. 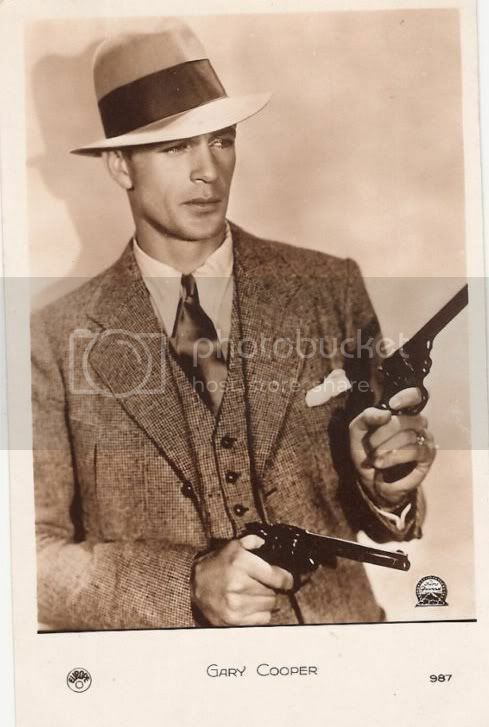 Someday I'm going to get a hat that I can bash just like it and use these pictures and the Maltese Falcon pictures on the same site as a guide. Does Bogart wear the same hat in all of his Bogart-hat films or does he has a different but similar hat every time? Or does he have the same make of hat bashed differently (since not two hand bashes will be perfectly identical)? What do people think would be most likely? Because looking at the photos from The Maltese Falcon and Casablanca there are minor differences, but the dimensions seem to be the same. 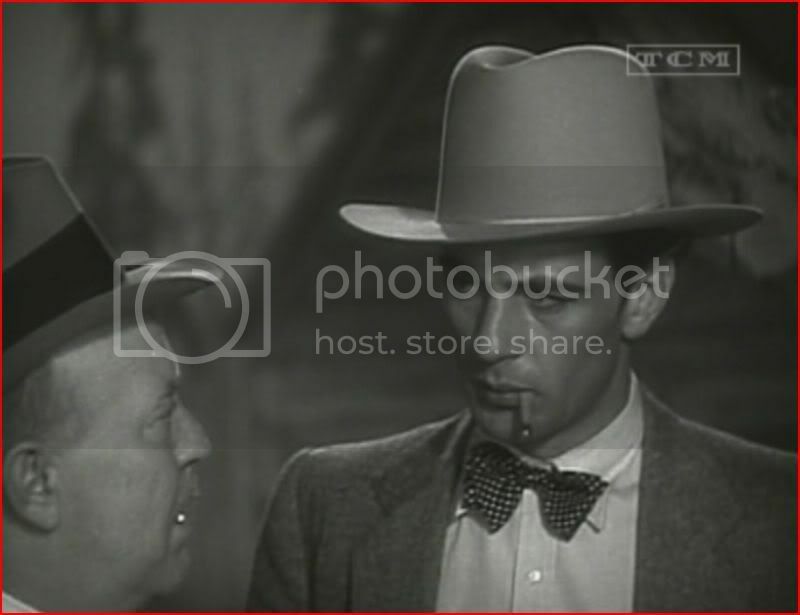 A fuzzy fedora worn by Don 'Red' Barry in 1949s Tough Assignment. My favorite OR style as worn by Lee Marvin in "pocket Money"
I like the look of Lee Marvin's hat as well, though it looks too small for his head. That's the movie business. If they had that hat sized to fit him, the shape of the hat would hide his face. Does HBO qualify for this thread? Saw this picture in today's paper for "Hell On Wheels", the new western series. Something doesn't ring true with this hat. The brim is too perfect and seems freshly trimmed, the dirty stains rise too high on the crown, and the the wear is uneven. Still, kind of a cool hat! Hell on Wheels will be on AMC. But yeah, kinda cool looking. 'Fits him' as in suitable for him, I presume, not necessarily that it's the right size for him. Or did I miss the underlying meaning and/or sarcasm again? I watched 'City Streets' on the hat channel this morning. Its from 1931 and full of great hats. It also had a hat that looked just like what we call an Open Road, cattleman crease and all. Cary Cooper wore a couple of fine hats. This first one reminds me of a Stetson that JtL has. A really cool WAR on Mr Cooper. 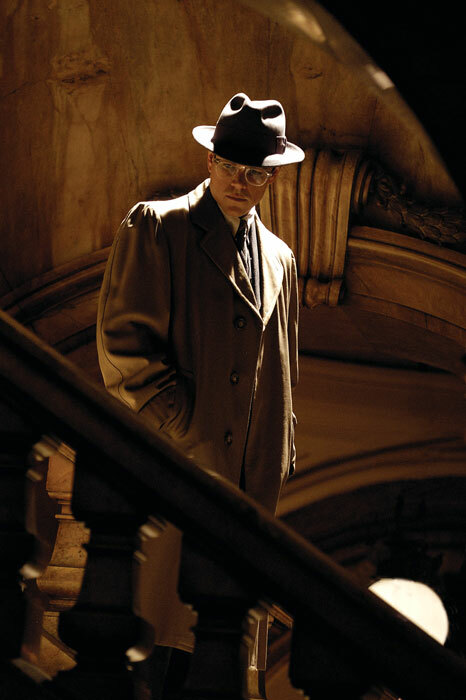 'The Thin Man' is loaded with great hats - the detective wears a great fuzzy black fedora, tipped just slightly, and Powell, late in the movie, wears a black Homburg with the front brim ironed-down to get a fedora look. I'll try to take some pictures, but some of you could probably do a better job if you have the movie.